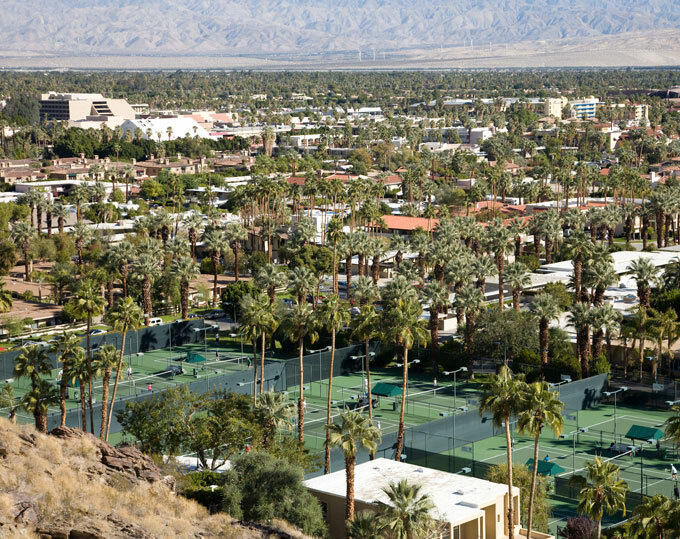 A short stroll from the Movie Colony Hotel brings you to the center of downtown and the Palm Springs Design District. Experience everything from shopping hip haute couture to feasting on the best local cuisine. Sample fresh finds at the farmer's market. Discover interior design and home decor mavens on practically every corner, or check out the city's local concerts, live theater, jazz bars, comedy clubs, dinner shows, and drag parties celebrating the Palm Springs culture. The Movie Colony Hotel places you close to all the special events, festivals, and holiday happenings in the bustling downtown and Design District. What types of stores are in downtown Palm Springs? A Retail stores are in no short supply in downtown Palm Springs. Discover fine apparel at Bamboo Ecowear, Celebrity Seconds, and Madison's Boutique. For footwear, head to Clog Wild and Shoe La La. Uncover stellar antiques at Palm Canyon Galleria, Bon Vivant, and Dwight Pollen Collection. As for furniture and decor, you'll want to visit Christie & Co, Home As Art, and Vintage Oasis. What are some of the best places to eat in downtown Palm Springs? A Downtown Palm Springs is dining central. For fine French, Le Vallauris and Pomme Frite will having you intoning "c'est magnifique." Savor authentic Italian at Aldente Pasta and Mama Lina's. Go the Japanese cuisine route at Happy Sushi and Sapporo Palms. Mexican is on the menu at La Casita and Mariposa. And classic American fare abounds at Dale's Lost Highway and Jake's Ready-To-Eat.